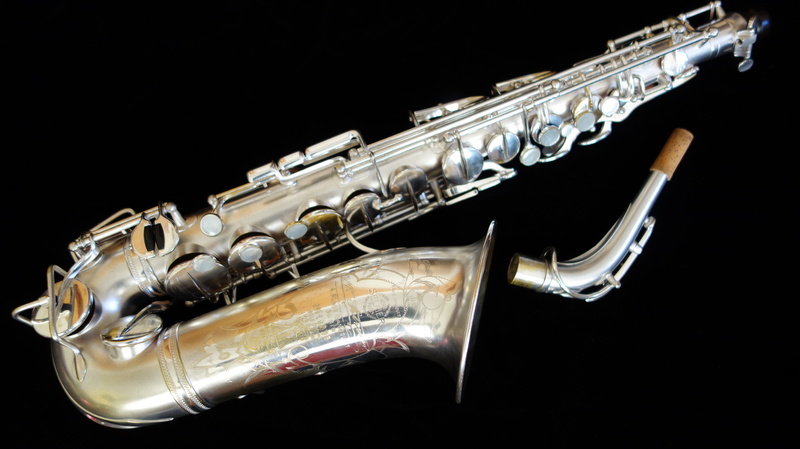 This is an original silver plate, excellent physical condition Selmer Radio Improved alto saxophone, made in France in 1935. 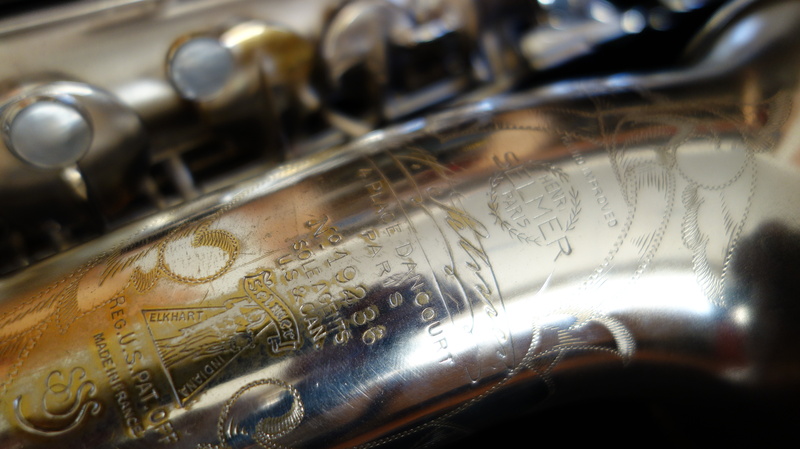 I have just overhauled this saxophone, where it received a stripping of the clear coat of lacquer someone had sprayed on it sometime in the near past as well as a full mechanical rebuild of the keywork. 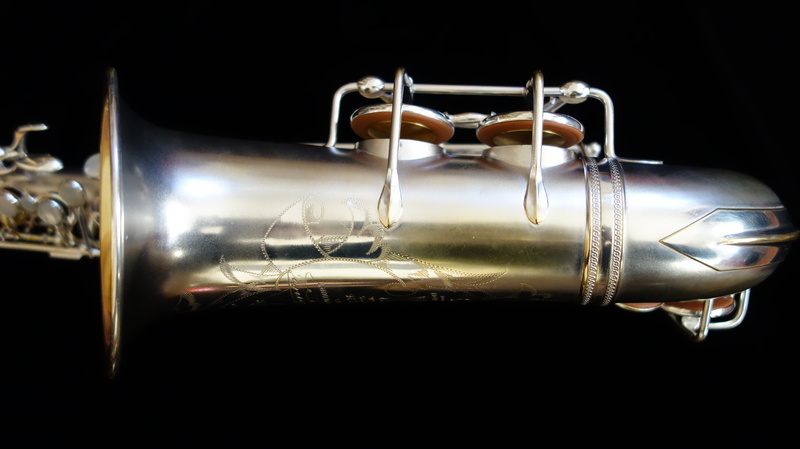 Pads were installed with Tenor Madness reusable brass resonators and this horn plays GREAT and is ready to go for years and years of reliable service right out of the case. 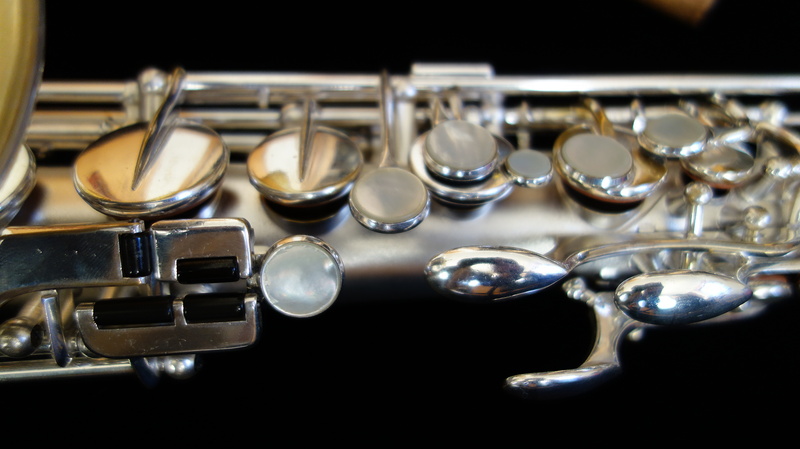 The Radio Improved model is one of Selmer’s rarest, only being made for about a year before the following model, the Balanced Action, was produced. 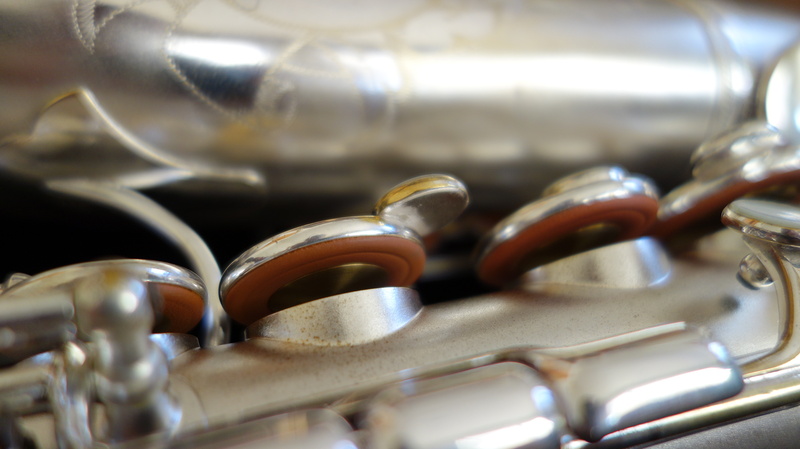 According to Selmer, few remain in active service today, and although I see a lot of vintage horns, I have only seen a few Radio Improved saxophones. This one is in uncommonly good original condition. 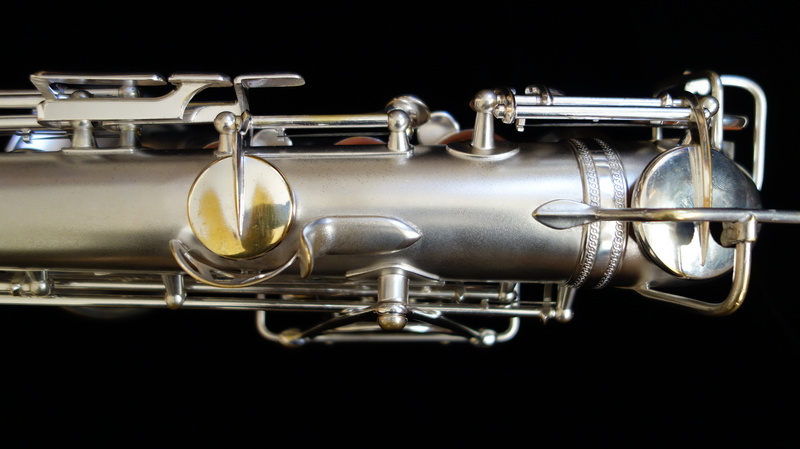 The Radio Improved was the last of the Selmer Super Series saxophones, which includes such well-known sub-models as the “Cigar Cutter”, Super, and the Radio Improved. 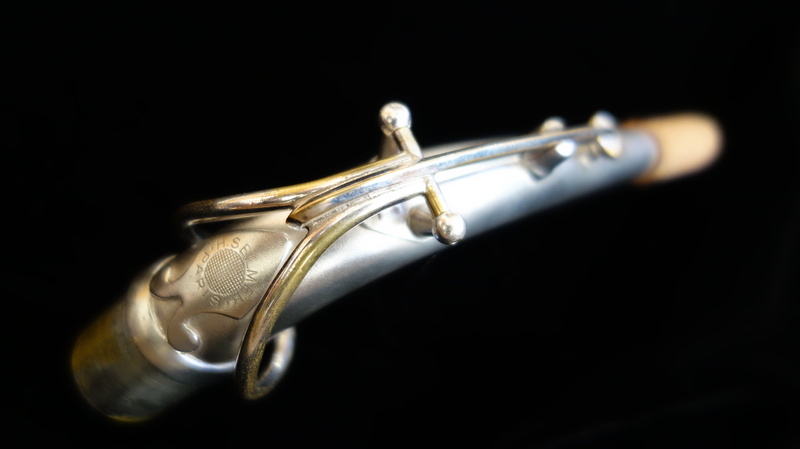 It was also the model directly previous to the Balanced Action, with which it shares a lot in common keywork wise and tone-wise. 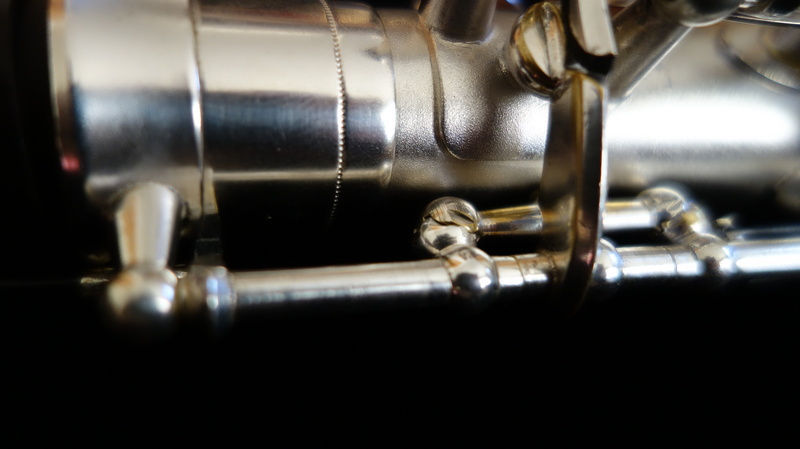 Most of the horn will feel very familiar ergonomically and tonally to later Selmers, with the main differences being the left hand pinky table… and the price! The ergonomic differences between this horn and the Balanced Action are that the Radio Improved has a geared octave mechanism (which is fantastic and honestly I wish they had kept that design) and an old-style left hand pinky table. 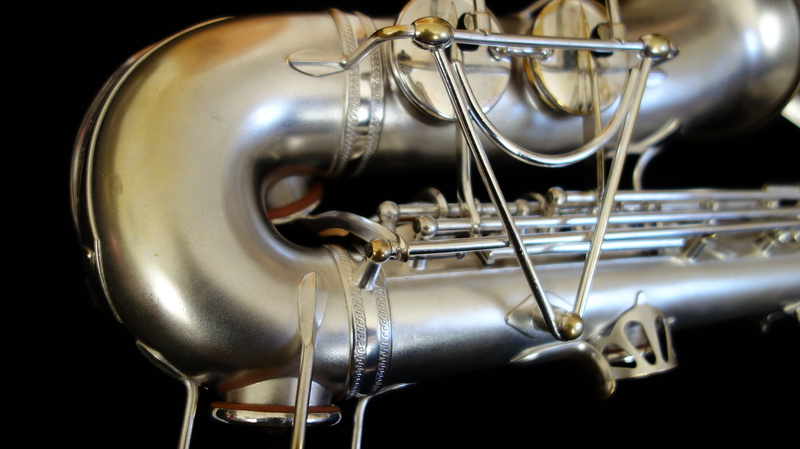 The left hand cluster (G#, low B, C#, Bb) is surprisingly comfortable and easy to use for how it looks, but unless you have played vintage horns in the past it will probably take a little getting used to. 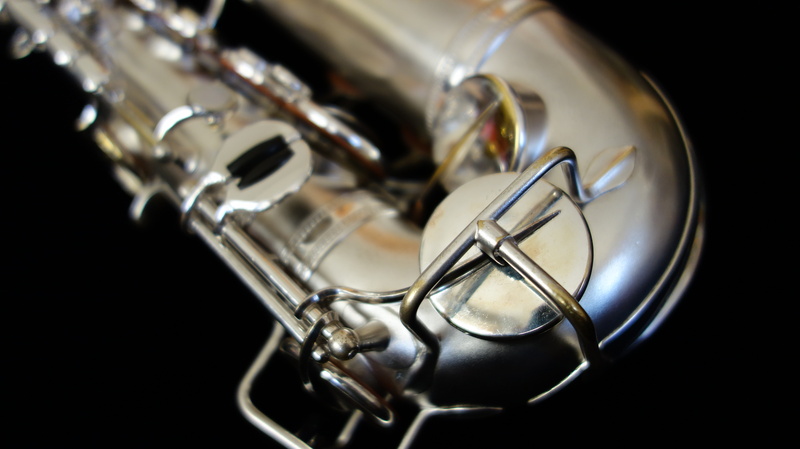 The tone is also extremely similar to an early Balanced Action alto, which means a full, rich, colorful tone with very even intonation and response and lots of power. 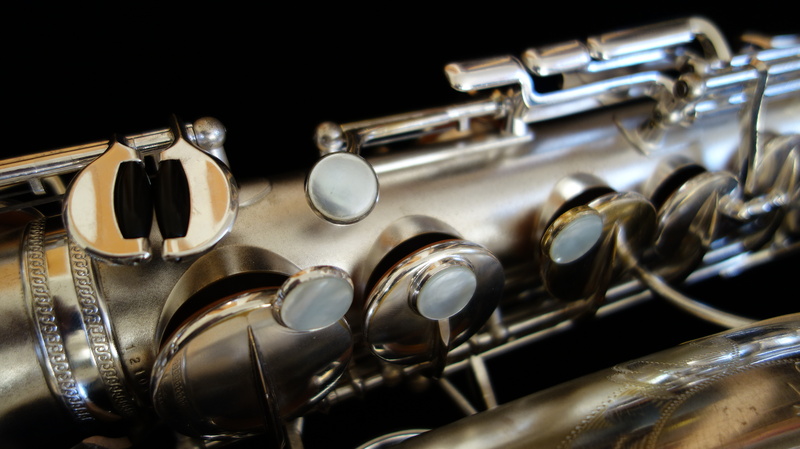 The tone is flexible enough that you could easily use this for classical or lead alto work in a big band or even play in a rock section. The keywork is quite comfortable, and I can switch back and forth between a Radio Improved and a Balanced Action and the sound and my ability to get around on the horn is quite nearly identical- honestly after a full morning of A/B-ing this Radio Improved against a very nice Balanced Action alto I kind of preferred the Radio Improved since it sounded and felt the same to me (and my main axe is a Balanced!) but was more beautiful to my eyes. 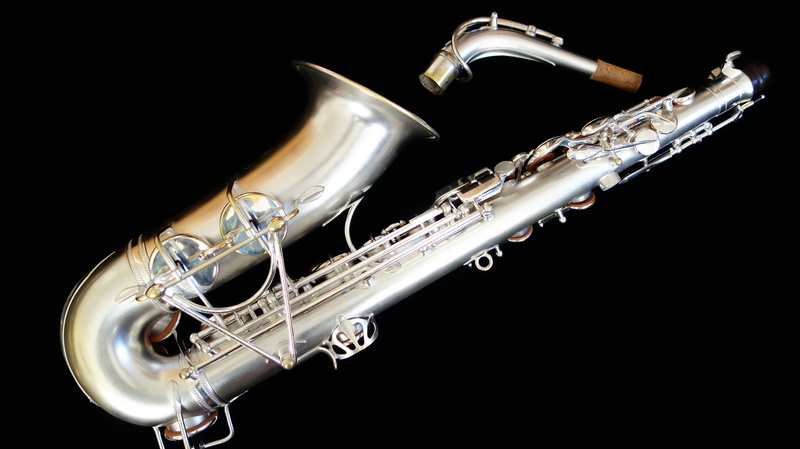 Quite a wonderful saxophone all in all, and the rarity and beauty and playability combine to really make this a special horn.